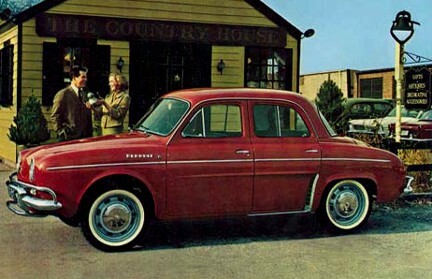 Price tag for the 1966 Renault 8 was $1,998 f.o.b. Winnipeg. An automatic transmission added a C-note to the total bill. 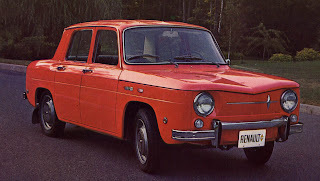 Renault and Peugeot, operating under the name SOMA (Societe de Montage Automobile), produced automobiles in Canada from November 1965 to January 1973. SOMA was a Quebec government Crown corporation. The two automakers shared an assembly plant located on Montreal’s south shore in the charming village of St. Bruno. The Renault 8 bowed to the public on June 22, 1962 after market studies showed this was the car that loyal Renault owners would most like to graduate to upon outgrowing their diminutive Dauphines. Designers created an almost square, boxy, upright look for the package and—like Dauphine--positioned the 956-cc engine in the rear. 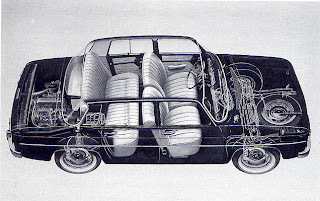 Unlike Volkswagen, the Renault 8 mill was water-cooled with a radiator located at the extreme rear of the car. Instrument panel of the 1966 Renault 8 was nothing if not functional. 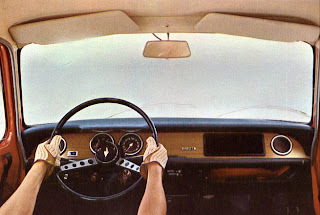 The automotive press didn’t care much for the car’s angular styling and were particularly critical of the instrument panel. Those who were feeling generous called it Spartan. Some went so far as to say it was reminiscent of “one born of poverty during the war years of the 1940s." There was however, high praise for the fantastically over-upholstered seats and the wisdom of installing disc brakes on all four wheels. Superior marks were also given for a new kind of recirculating heater and for copying Rambler by making use of safety door handles on the car’s exterior. Interior of the 1966 Renault 8 was generous for four passengers. Canadians bought 413 of the Gallic econo-boxes in 1962 and 1,127 more of them in 1963. 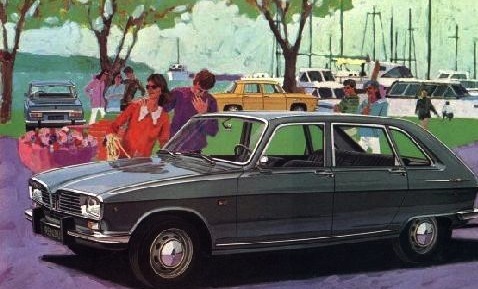 The following year folks from St. John’s to Victoria took home 1,126 Renault 8s equipped with standard transmission and 1,054 more with the newly available automatic shifter. 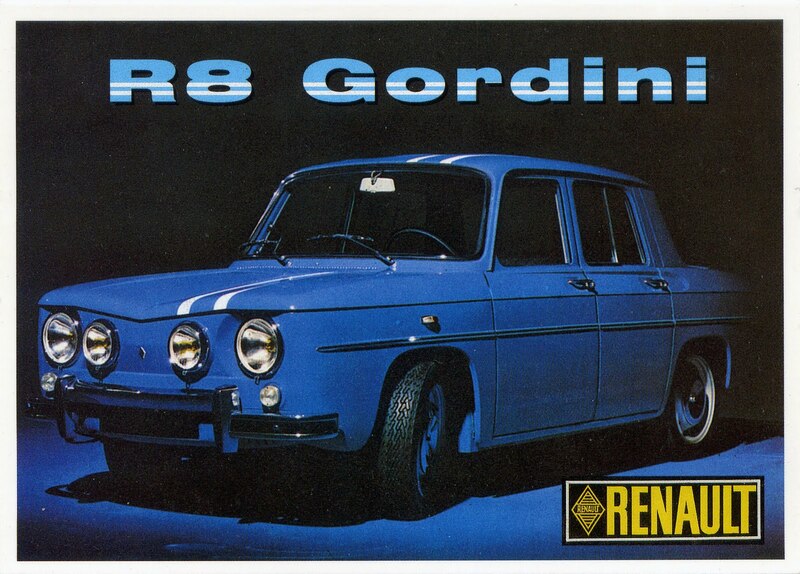 The 1965 Gordini version of the Renault 8 blasted off the asphalt with 89 horsepower. For 1965 the sales tally for Renault 8 was 1,397 units delivered with manual gearboxes and 151 units with the optional automatic transmission. In addition, a lone hotted-up Gordini pocket rocket was sold here, too. 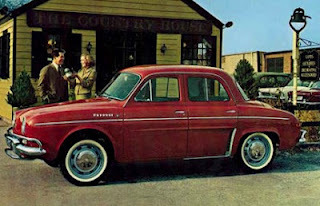 1966 was the final year for the Renault Dauphine in Canada. For 1966 there was an almost bewildering array of Renaults glittering on the showroom floor. It was the last year for the diminutive Dauphine and records show that a Metric dozen—ten—were sold that year. 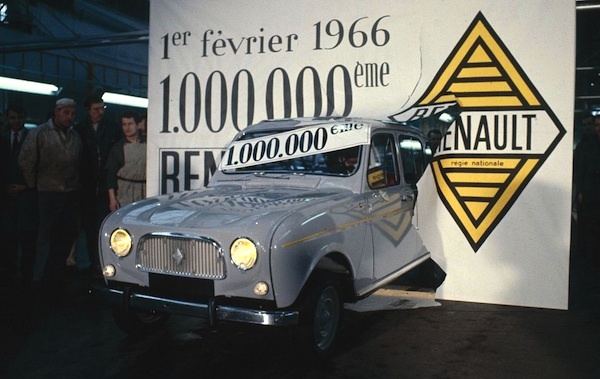 Renault produced its one millionth 4 on February 1st 1966. Consumers could choose among the Renault 4, the Renault 10 and the new flagship, the Renault 16. 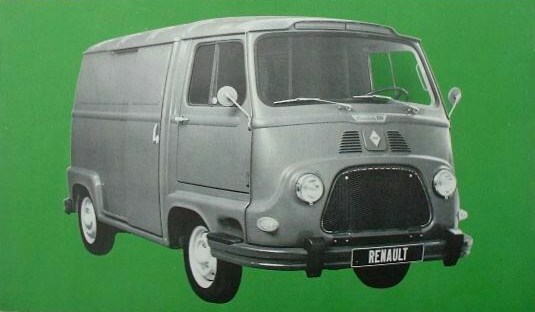 Company records also show that seven Estafettes—Renault’s small box van--were sold here, as well. The 1100-cc engine could propel the 1966 Renault 8 to 136 kilometres per hour. 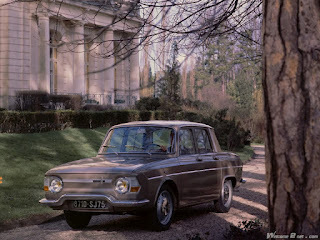 The Renault 8 returned for its fifth year on the market equipped with the more powerful Sierra 1100 cc (67.58 cubic-inch) engine under its hood. The mill generated a healthy 46 horsepower at 4600 RPM. 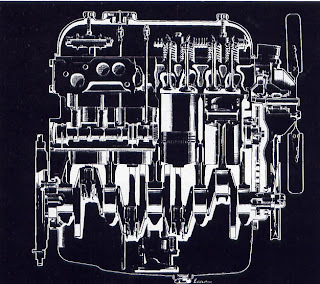 The engine was tough, boasting a five main-bearing crankshaft. The gearbox was a four-speed affair, fully synchromesh. That was good enough to put the pedal to the metal and hit 140 kilometres (85 miles) per hour (ancient Canadian units of velocity). The versatile Estafette was part of the Renault lineup from 1959 to 1980. Only 2270 millimetres (89 ¼ inches) in the wheelbase and 398.78 centimetres (157 inches) in overall length, the dapper car was extremely nimble on the road, courtesy of rack-and-pinion steering aided by not one but two dampers. The turning circle for this road rat was a scant 9.2 metres (30 foot four inches). A Renault 8 could hold the road with the best of them because it featured independent four-wheel suspension with coil springs and telescopic shock absorbers. Just to be on the safe side engineers threw in an anti-roll bar at the front of the envelope. An exploded view of the 1966 Renault 8. The four-door sedan weighed in at 759.7 kilos (1,675 pounds). 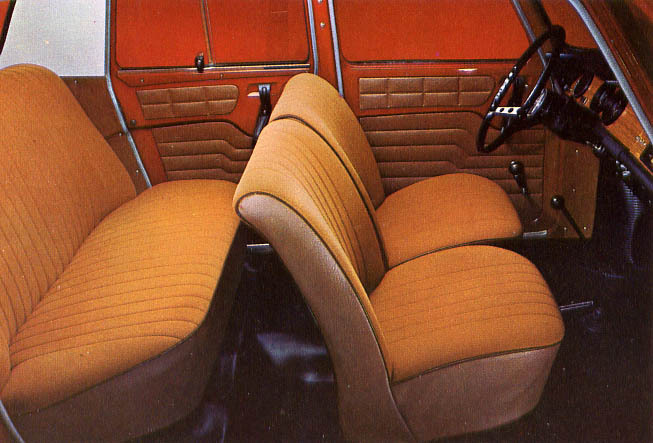 The Renault 8 came with two-speed electric wipers and a heater-demister as standard equipment. Also included in the base price were twin-jet windshield washers, emergency flashers, seat belts—front and rear—back-up lights, bumper over-riders, exterior rear-view mirrors, side markers, a tool roll and mud flaps. 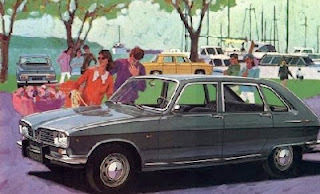 The 1966 Renault 10 was assembled in St. Bruno, Quebec. Extra cost items were carefully chosen and included automatic transmission, leather and cloth upholstery, an AM/FM push-button radio, a cigar lighter, a roof rack, a ski carrier, spot- or fog lamps, white wall tires, dressy wheel trim, a tow bar, dual mufflers, a tachometer, an oil pressure gauge, head rests and--oh-so-Continental—Renault driving gloves. Final sales for the Renault 8 for the 1966 calendar year were 485 units delivered with the standard transmission and 445 units with automatic transmission. A total of two Gordini models was added to the final tally. Sales of the 8 were eclipsed by the far more popular Renault 10 Major. It didn’t matter much, anyway. Officials at Renault Canada could smile broadly; the total number of vehicles sold throughout the Dominion of Canada hit 4,437 units, an increase from the 4,326 units delivered in 1965. The Renault 16, launched in April of 1965, was European Car of the Year in 1966. The large, luxurious hatchback is shown here in an upscale setting intended for Canadians.